"Suona la tromba" (The trumpet sounds) or "Inno popolare" (Hymn of the people) was a secular hymn composed by Giuseppe Verdi in 1848 to a text by the Italian poet and patriot Goffredo Mameli. The work's title comes from the opening line of Mameli's poem. It has sometimes been referred to as "Grido di guerra" and "Euterpe Patria". Goffredo Mameli, an Italian patriot, poet, and writer was a notable figure in the Italian Risorgimento. He is also the author of the lyrics of Il Canto degli Italiani, the national anthem. Giuseppe Mazzini was an Italian politician, journalist, activist for the unification of Italy, and spearhead of the Italian revolutionary movement. His efforts helped bring about the independent and unified Italy in place of the several separate states, many dominated by foreign powers, that existed until the 19th century. He also helped define the modern European movement for popular democracy in a republican state. 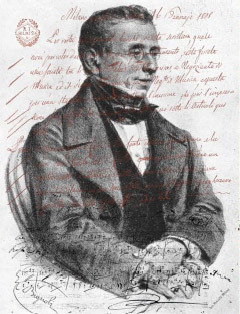 In his letter to Mazzini of 18 October 1848, Verdi had recommended that if Mazzini wished to publish the hymn, he give it to Carlo Pozzi, an affiliate of Verdi's publisher Casa Ricordi. However, before the music reached Mazzini, the Austrian Empire had regained its lost territories and Milan's musical life was once again under the control of the Austrian censors. The numerous patriotic songs and anthems that had been published by Casa Ricordi and Casa Lucca during the brief revolution were withdrawn, with some of those editions destroyed. 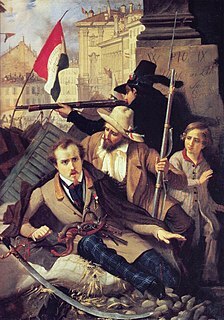 Mazzini did not try to have "Suona la tromba" officially published at that time, although in late 1848 a few copies of it were printed and circulated in Florence by the short-lived Associazione Nazionale per la Costituente Italiana (National Association for the Italian Constitution). Mameli died in 1849 at the age of 22. His earlier poem "Il Canto degli Italiani" (The Song of the Italians) later became the Italian National anthem. "Il Canto degli Italiani" is the national anthem of Italy. It is best known among Italians as the "Inno di Mameli", after the author of the lyrics, or "Fratelli d'Italia", from its opening line. The words were written in the autumn of 1847 in Genoa, by the then 20-year-old student and patriot Goffredo Mameli. Two months later, they were set to music in Turin by another Genoese, Michele Novaro. The hymn enjoyed widespread popularity throughout the period of the Risorgimento and in the following decades. Nevertheless, after the Italian Unification in 1861, the adopted national anthem was the "Marcia Reale", the official hymn of the House of Savoy composed in 1831 by order of King Charles Albert of Sardinia. After the Second World War, Italy became a republic, and on 12 October 1946, "Il Canto degli Italiani" was provisionally chosen as the country's new national anthem. It was made official on 4 December 2017 de jure. Rai 2 is one of the five main television channels broadcast by Italian public television company RAI alongside Rai 1, Rai 3, Rai 4 and Rai 5. Rai 2 first started broadcasting on 4 November 1961. In the eighties it was known for its political affiliation to the Italian Socialist Party; in recent years it has shifted its focus toward talk shows, reality television and infotainment. 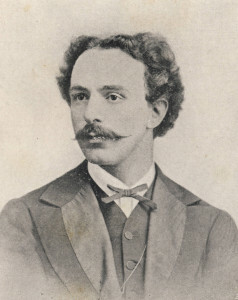 Teodulo Mabellini was an Italian composer. Giulietta Pezzi was an Italian writer and journalist whose work included poetry, four novels, and a five-act play. Born and educated in Milan, she was a devoted follower of Mazzini and active in the Italian republican and unification movements. In her later years she wrote for several newspapers and dedicated herself to the establishment of free public schools in Italy based on Mazzini's educational philosophy. She died in the city of her birth at the age of 71. During her lifetime several art songs were dedicated to her, including Bellini's "Vaga luna, che inargenti". Raffaele Caravaglios was an Italian bandmaster. 1 2 Daolmi, Davide (2011). *Cori patriottici e inni popolari. Milano 1848", booklet accompanying the CD Musica del Risorgimento recorded by the La Scala Chamber Orchestra. ↑ Original Italian: "Vi mando l'inno e, sebbene un po' tardi, spero vi arriverà in tempo. Ho cercato d'essere più popolare e facile che mi sia stato possibile. Fatene quell'uso che credete: abbruciatelo anche se non lo credete degno." 1 2 Foletto, Angelo (7 February 1996). "Ecco il 'Mameli-bis', L'inno firmato Verdi". La Repubblica . Retrieved 19 September 2013 (in Italian). 1 2 Accademia Nazionale d'Arte Antica e Moderna (2013). "Verdi ritrovato: L'unico esemplare sopravvissuto della versione originale dell'Inno popolare di Giuseppe Verdi". Retrieved 19 September 2013 (in Italian). ↑ Other composers whose works appeared in the series were Carlo Foldi, Giacomo Calascione, and Angelo Graffigna. ↑ Library of the Milan Conservatory.Grido di guerra: inno popolare / di Giuseppe Verdi : Parole di G. Mameli (LO11198904) Archived 2013-09-21 at the Wayback Machine .. Retrieved 19 September 2013 (in Italian). ↑ Library of the Milan Conservatory.Inno popolare / di Goffredo Mameli : musicato a voci sole da G.pe Verdi (MUS0266013) Archived 2013-09-21 at the Wayback Machine .. Retrieved 19 September 2013 (in Italian). ↑ University of Chicago, Center for Italian Opera Studies. Inno popolare "Suona la tromba"